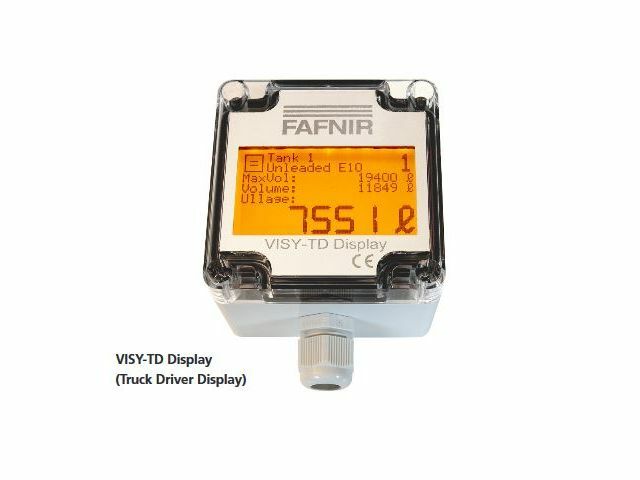 The VISY-TD Display (Truck Driver Display) is an optional part of the VISY-X system designed to provide the fuel delivery truck driver with the most up to date information about the tanks. With the VISY-TD Display, the fuel delivery driver is precisely informed about ullage of individual tanks, any warnings and tank levels before the delivery of the fuel starts. 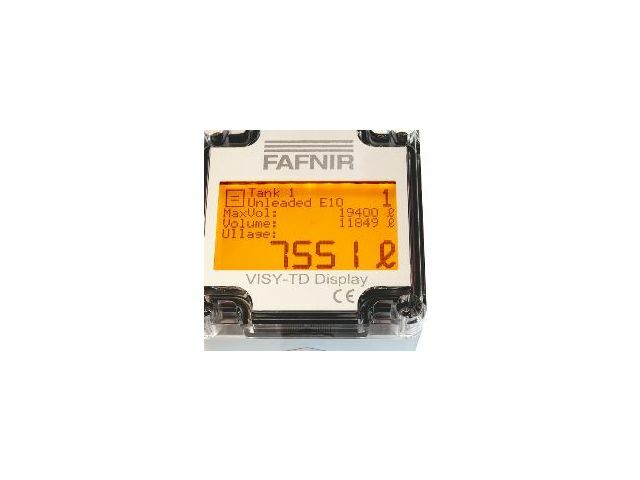 The VISY-TD Display is situated inside of the station building to allow visibility outside of business hours, to ensure there are no issues with delivery without a station manager present. The truck driver display VISY-TD presents clear data overview due to a high contrast display, displays tank number, fuel designation, capacity and volume. The ullage is displayed in extra-large digits. It also displays volumes higher than 1.000.000 liters in m³, presents the status of the currently selected tank, and displays errors detected in the tanks or by the measuring system. The corresponding error is displayed as error code.